The data coming in during the past hour has me concerned about the potential for tornadoes and severe thunderstorms late Sunday afternoon and into Sunday night in the central Great Plains. 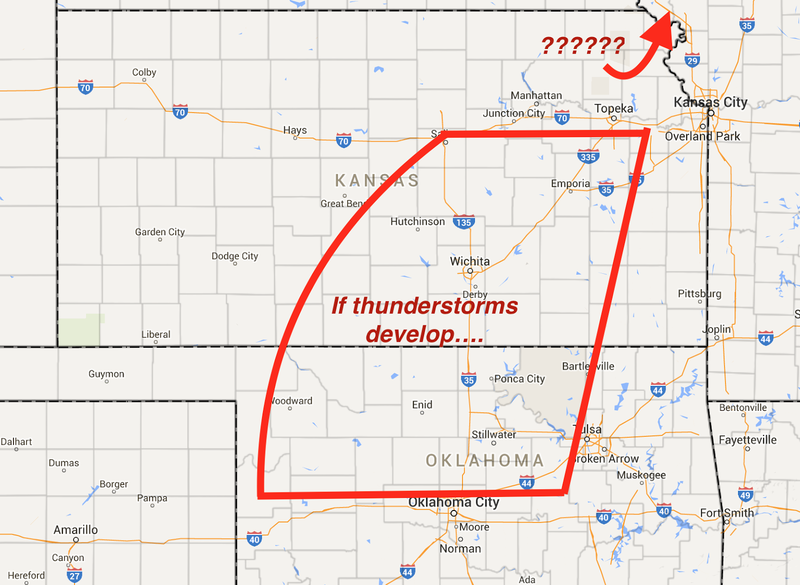 IF thunderstorms develop, they will likely be severe. There is a second area near where Iowa-Nebraska-Missouri and Kansas come together, again IF thunderstorms develop. So, check in with the blog Sunday morning and Sunday afternoon for updates on this weather situation. Comment: In response to the question below. 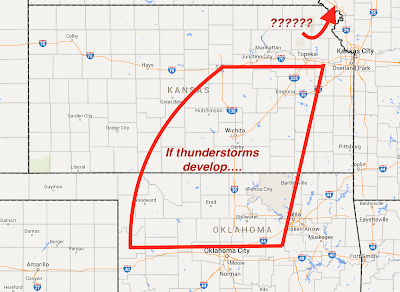 I note long do live-blogging of severe storms. That stated, I will do a couple of extra updates on both Sunday and Tuesday if the storms develop as expected. Thanks for keeping us posted!